Congratulations to all of our Grand Prize Winners! Together, we’ve circled the globe and rescued several priceless artifacts. Will you be next? 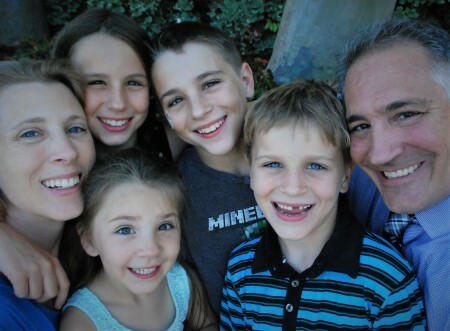 The Hampson family from Whittier, CA solved a series of hidden chess puzzles in our 2017 Global challenge to take home the globe, the $10,000 prize, and the trip to Toronto, Canada. Click here to see how they cracked the riddle. 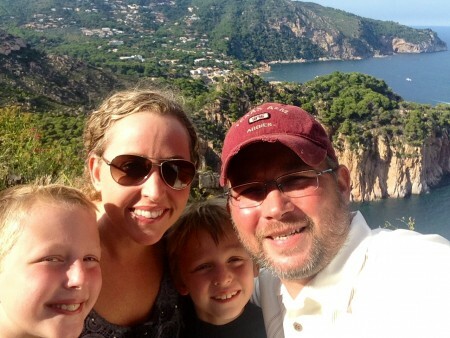 Congratulations to the Ayers family from Texarkana! 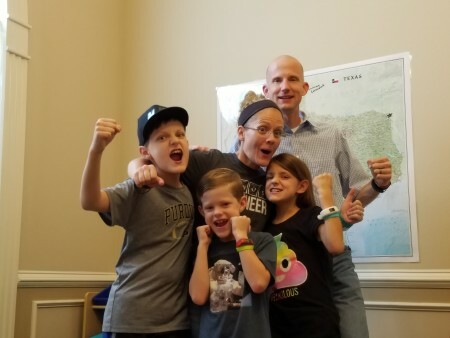 The Ayers clan virtually visited a dozen Texas museums to piece together a riddle as big as the Lone Star State itself. Their adventures in Canadian Texas on the Texas/Oklahoma border included trips down a massive, homemade water slide, a private screening in a fancy movie theater, plenty of orchard-fresh apples, and a visit to a local landmark. And yes, they also won a mechanical globe and $10,000. See how they solved it here. Meet Tristan M., and his sister Charlotte, of Novato, CA. 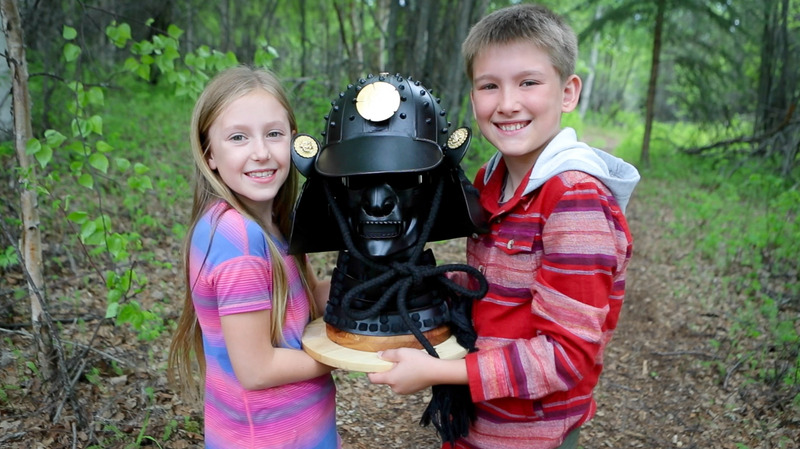 Tristan recently unearthed the Mask of Tomoe Gozen in Fairbanks, Alaska, where he had the chance to hold sled dog puppies, visit an ice museum and explore America’s Last Frontier. Click here to see how he figured out where we hid the mask this time! Michael and Kellie Shellenberger from central Maitland Florida conquered the first-ever New Year’s Challenge for grown-ups! They voyaged to the South Pacific island of Vanuatu to claim a real golden nugget. 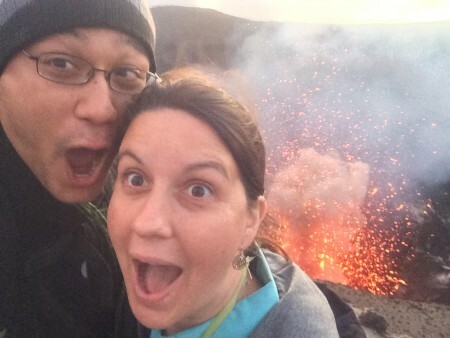 They also saw volcanoes, slept in a treehouse, and got some good R&R on the beach. 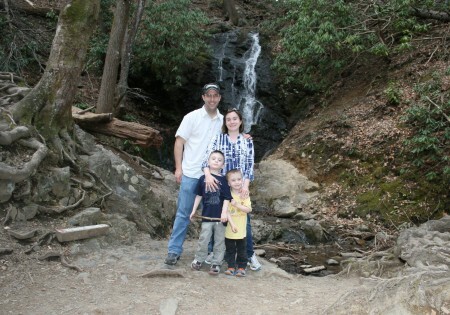 Read about their trip here, and click here to see how they cracked the code. Ethan and Owen Billinger from Dallas, Texas quickly located the Sunstone of Cortes on the Harvard University Campus in Cambridge, Massachusetts. It was certainly a cold excavation, but along the way they enjoyed a Harvard campus tour, a world-class children’s museum, and some great Boston eats. Click here to see how they solved it. 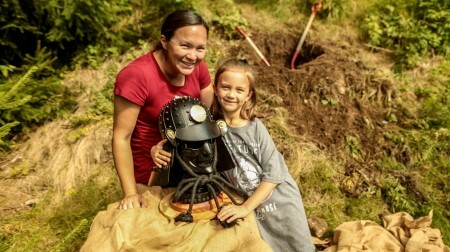 Abby Hurst from Riverside, CA, was the first to locate the Mask of Tomoe Gozen, buried in Asker, Norway. While in Norway, Abby had the chance to take a Norwegian music class, attend a dance festival, get a bird’s-eye view of the city from the top of a ski jump, and explore the North Sea. Click here to see how she found the treasure. 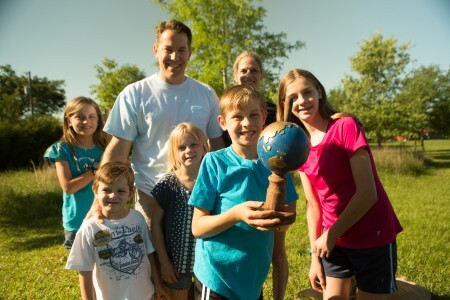 Briggs Dommert and his family from Atlanta, Georgia were the first to find the Globe of Magellan during the Spring 2016 chase. Watch them journey to the Big Easy to claim the treasure, and click here to see how they solved the puzzle. Ashton and Jessica Detwiler from Portland, Oregon rest after unearthing the Sunstone of Cortés. Wondering how they solved the riddle? Take a look or read about it here. 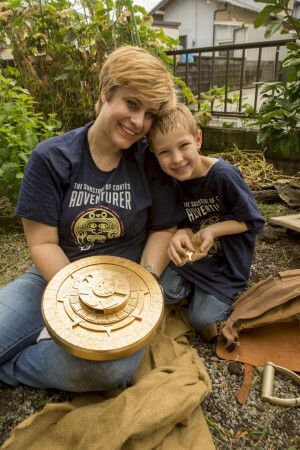 Watch Ashton and his mom dig up the real treasure in Fuji City, Japan. Grayson Engler and his older brother Jack from Austin, Texas were the first to pinpoint the location of the mysterious Globe of Magellan in Llivia, Spain, during our Summer 2014 semester. Find out how they cracked it by watching the video below or reading this blog post. Watch the boys dig up the real Globe of Magellan on the French/Spanish border. NOTE: Each semester contains an entirely new and unique treasure hunt. While the story line, animations and buried treasure may be repeated, all clues embedded in the animations, the riddle and treasure location are entirely new every semester.